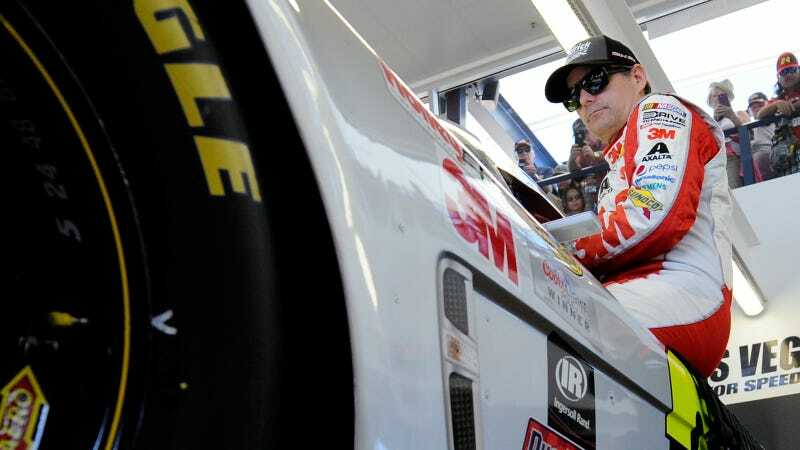 Jeff Gordon's streak of bad luck returned during the last practice session for the NASCAR Sprint Cup Kobalt 400 this weekend at Las Vegas Motor Speedway. A wreck in the final practice session yesterday will force Gordon to use a back-up car for the race, and thus, he must start from the back of the field. Gordon's number 24 Hendrick Motorsports Chevrolet made contact with Danica Patrick's number 10 car late in Saturday's practice session, sustaining damage to the right side of the car, especially in the front. Poor Gordon can't catch a break. David Ragan also slapped a wall in practice, and will start from the back instead of his 13th-place qualifying position as well.